It is in the morning that Rocamadour is the most beautiful. The view you get from L’Hospitalet (opposite the village) is stunning! For centuries Catholic pilgrims have been coming here to worship the statue of a Black Virgin Mary, which is exposed in the tiny Notre Dame Chapel. This chapel is the heart of the sanctuary. It was probably built in the rock where the mysterious body of Amadour was discovered intact in 1166. The legend of the “Roc of Amadour” was born, and the village of Rocamadour developed thanks to the pilgrimage. 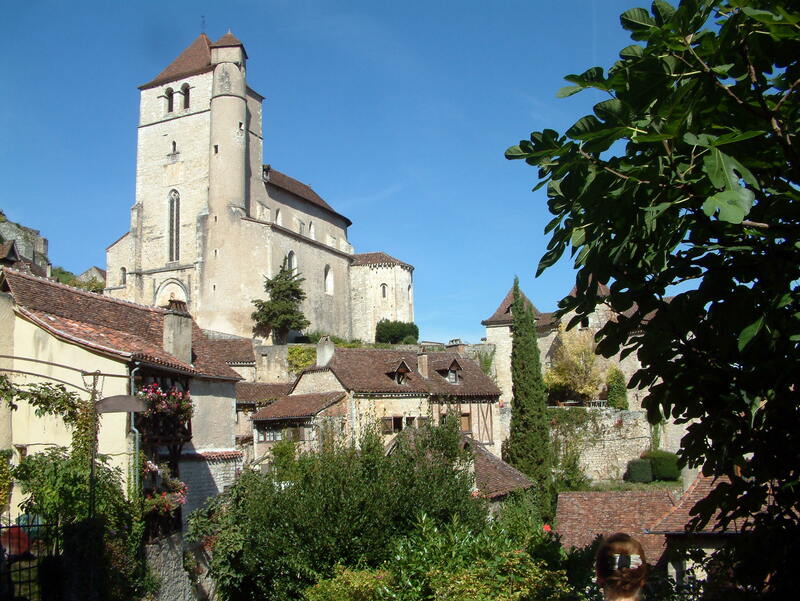 Enlisted as one of the most beautiful villages of France. This village, which overlooks the Lot River, was the first to be voted “Favourite village of the French”, during the popular television show launched in 2012. The narrow streets of Saint-Cirq Lapopie unravel down a steep slope, from the ruins of the castle all the way down to the “Door of Rocamadour”, which is one of the entrances into the village. Jacques Dueze, born in Cahors, became Pope of Avignon in 1316, and got many new monuments built in town. Today the town is famous for its red wine, nicknamed “Black wine” by the English. It is grown to the south and west of the town. The Malbec grape is considered to be the Queen grape of Cahors wine: every bottle must contain a minimum of 70% Malbec. The town was built in a meander of the river Lot. The historical centre, which is medieval, makes for a small portion of the town: narrow sinuous streets, some houses half-timbered (wood and brick), others built of limestone blocks, and many finely worked doors. In the historical centre is located St Etienne Cathedral, built between the 11th and 17th centuries, with its surprising cupola vaulting. The most famous monument in Cahors is the Valentré Bridge (where we will stop). - If you do not wish to walk down the Stations of the Cross or the Grand staircase in Rocamadour cost of the lift is to be paid locally.